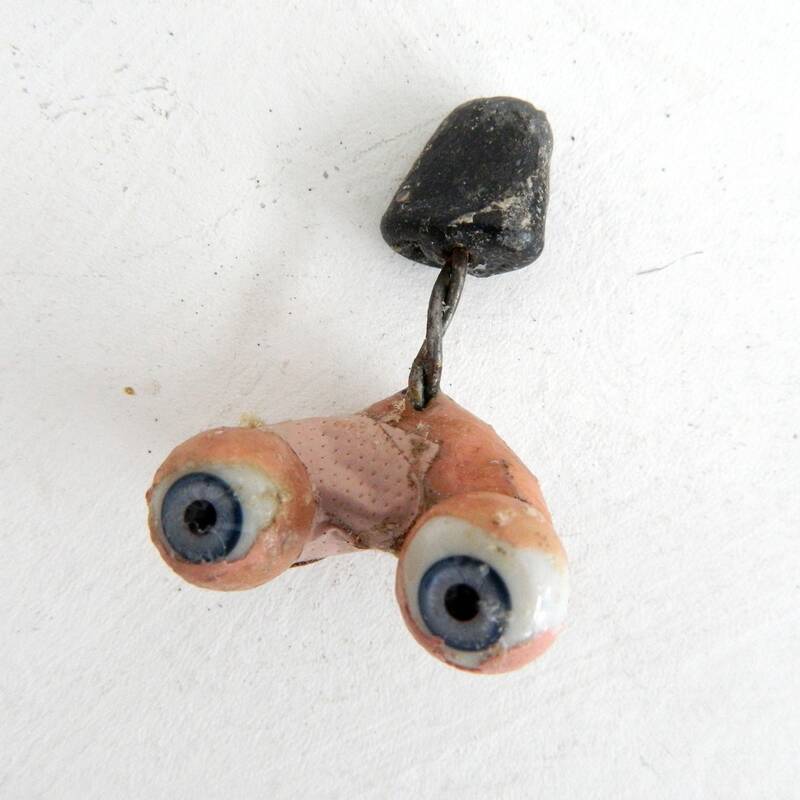 This is pair of vintage doll eyes of pretty blue set in a gnarly repaired socket piece with wire and weight coming out of the bottom. 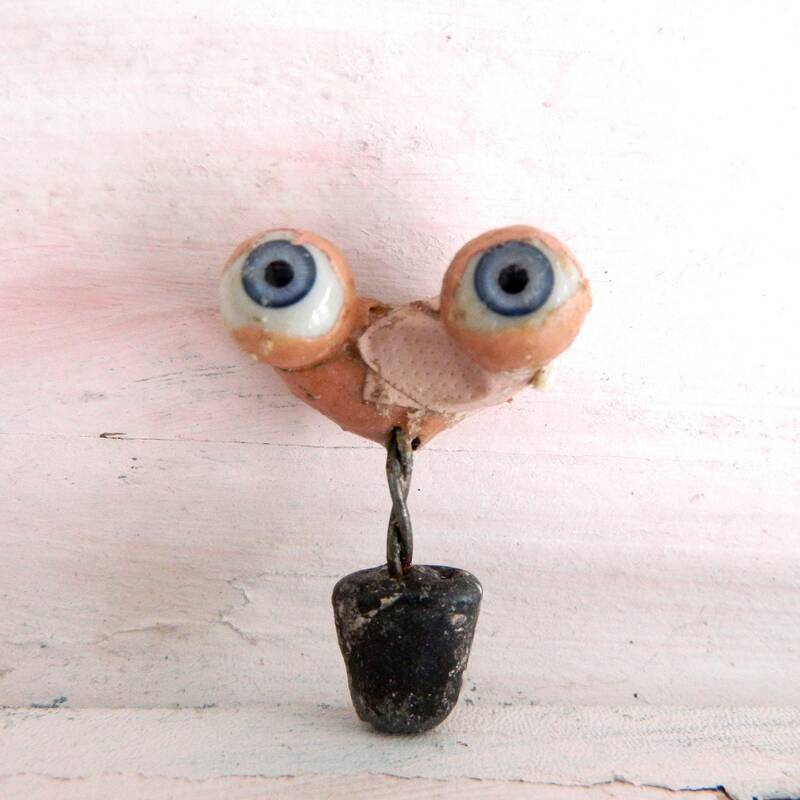 Each eyeball is approximately 1/2" across. The width of the piece from side to side is 1.5". 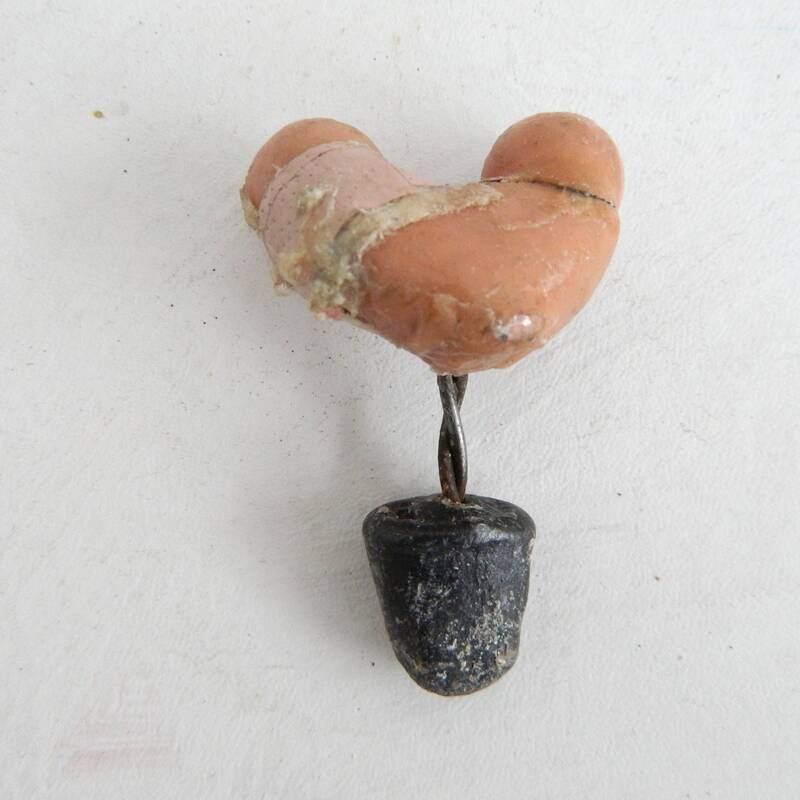 The height from top of eyeball to the bottom of the weight is 2.25". 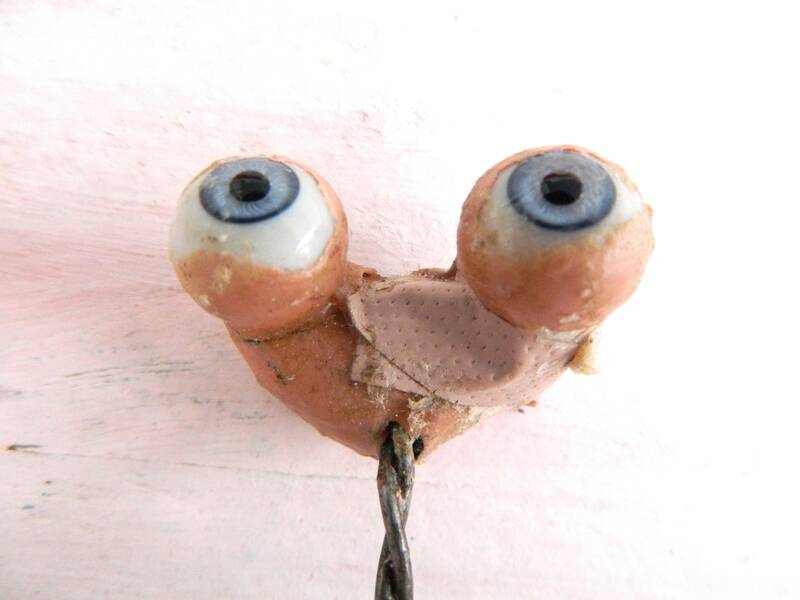 The repair on the eye is shows old glue residue and a bandage. It does seem like a sound repair, though. No wiggles or jiggles. Feels solidly in place. The are rough but someone will need them for a project!